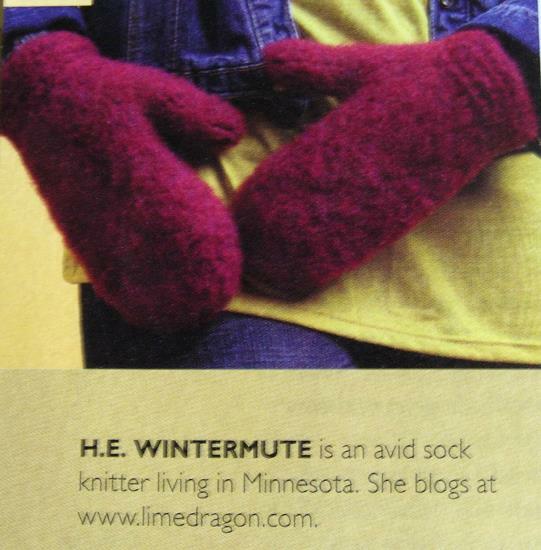 Published in Interweave Felt, 2008. 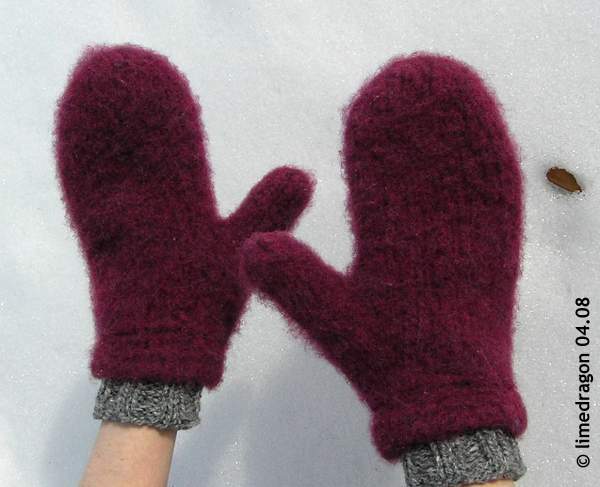 These are available in two sizes, Ladies’ and Men’s average. 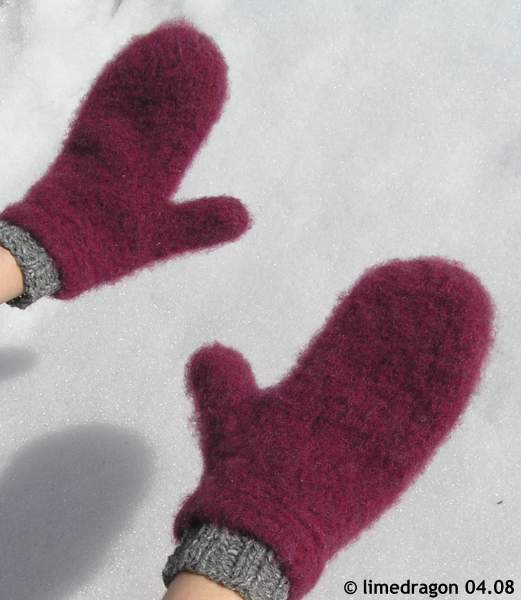 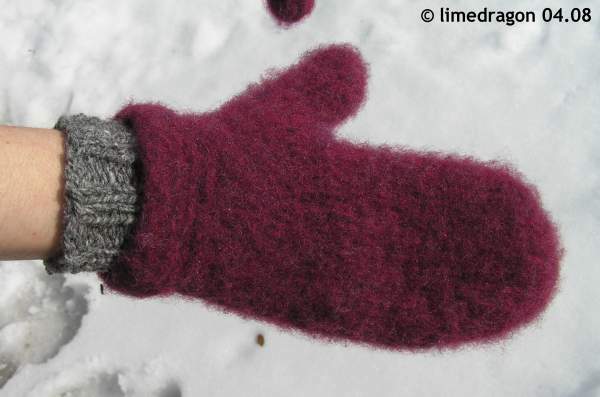 The main section of the mittens are unfulled, and the inner cuffs un-felted.